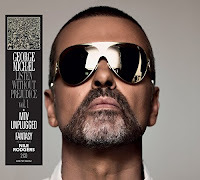 Sony Music presents George Michael's 'Listen Without Prejudice/MTV Unplugged'! This is a reissue of George's record 'Listen Without Prejudice Vol.1' which was originally released in 1990. Produced, arranged and almost entirely written by George himself, the album topped charts worldwide, rocketed to No.1 in the UK and was certified 4x Platinum. A remastered version of George's 1996 MTV Unplugged performance is also available as an album for the first time as part of the 3CD+1DVD deluxe set, 2CD set and digital editions. Recorded in London in 1996, the concert features career-defining songs, from George's Wham! period right through to his 'Faith', 'Listen Without Prejudice Vol. 1' and 'Older' eras. The 'Listen Without Prejudice' limited edition 3CD+DVD deluxe set includes the ground-breaking album (remastered), the captivating MTV Unplugged live show from 1996, the stunning single 'Fantasy' ft. Nile Rodgers (via download code), a 16 track bonus CD of mixes, B sides and alternate versions and a DVD featuring the Listen Without Prejudice South Bank Show Special documentary. A 32 page book containing sleevenotes and photos completes the package. 'Listen Without Prejudice/MTV Unplugged' Formats: Limited Edition 3CD+1DVD Deluxe Box, 2CD Edition, Vinyl Edition, Digital Edition. Check out the 'Listen Without Prejudice/MTV Unplugged' tracklistings.